Using e-Valuate™ to achieve cost savings & gain productivity. 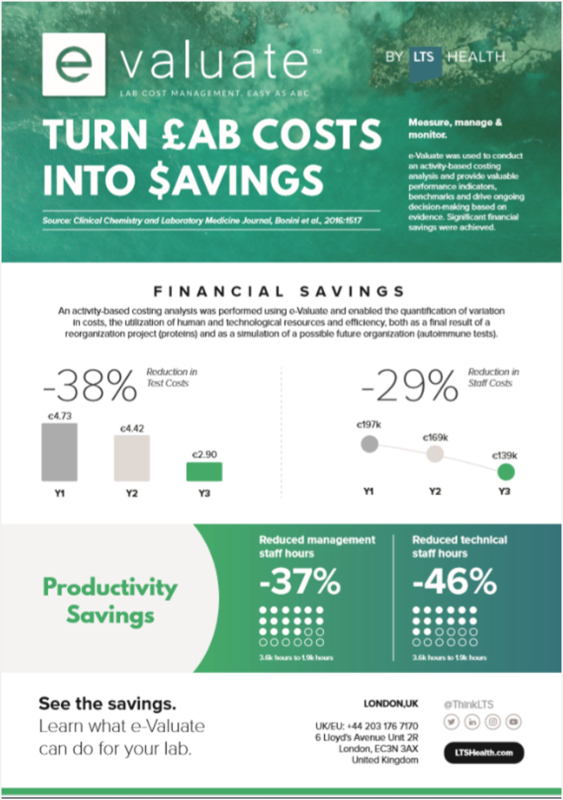 Lab cost management, easy as ABC: A case study. e-Valuate™ was used to conduct an Activity-Based Costing analysis and provide valuable performance indicators, benchmarks and drive ongoing decision-making based on evidence. Significant financial savings were achieved. An Activity-Based Costing analysis was performed using e-Valuate™ and enabled the quantification of variation in costs, the utilisation of human and technological resources and efficiency, both as a final result of a reorganisation project (proteins) and as a simulation of a possible future organisation (autoimmune tests). This allowed the lab to track costs over that period and make decisions that drove cost savings. 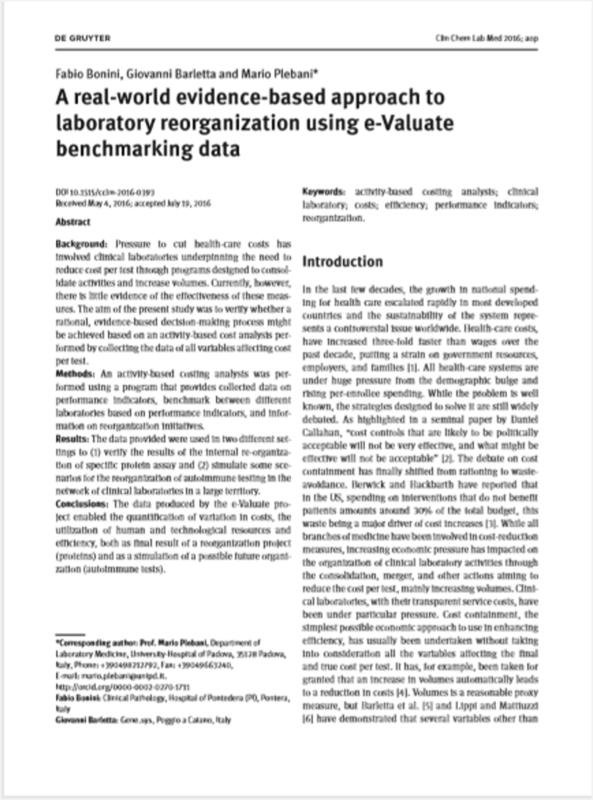 According to the CCLM peer reviewed scientific study, “e-Valuate™ provides clinical laboratory management valuable information that enables it to guide improvement projects designed to decrease costs and waste, and to enhance efficiency based on objective data”. 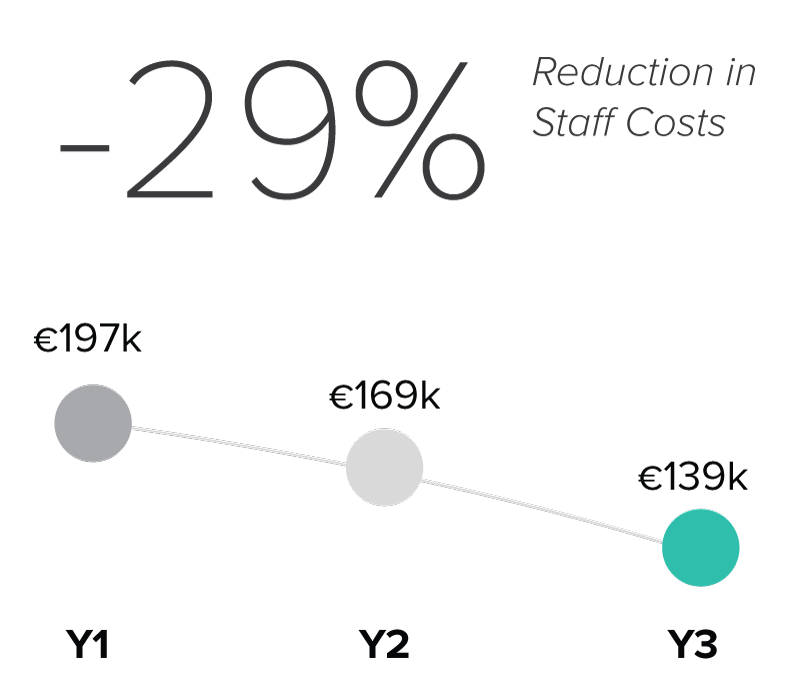 In that study, management staff hours were reduced by 37% and technical staff hours by 46%. Download the CCLM journal articles and summary infographic. Click on the document to download it to your computer.